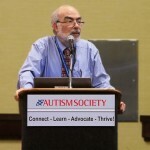 In my last post I talked about the inappropriate application of double standards in the DSM, as reflected in the preferential treatment given to behavioral over biological markers of mental disorders: as “porous” as behavioral markers are, the editors of DSM5 enshrine them as the “best” way of identifying mental disorders. On the other hand, here is no place in DSM5 for biological data, unless these data are “incontrovertible.” This double standard reflects the historical background of the DSM, and the difficulty in making institutional change. There is, however, one arena in which the editors of the DSM ought to have advocated for a double standard, but failed to do so: Actually using the DSM to make a diagnosis. 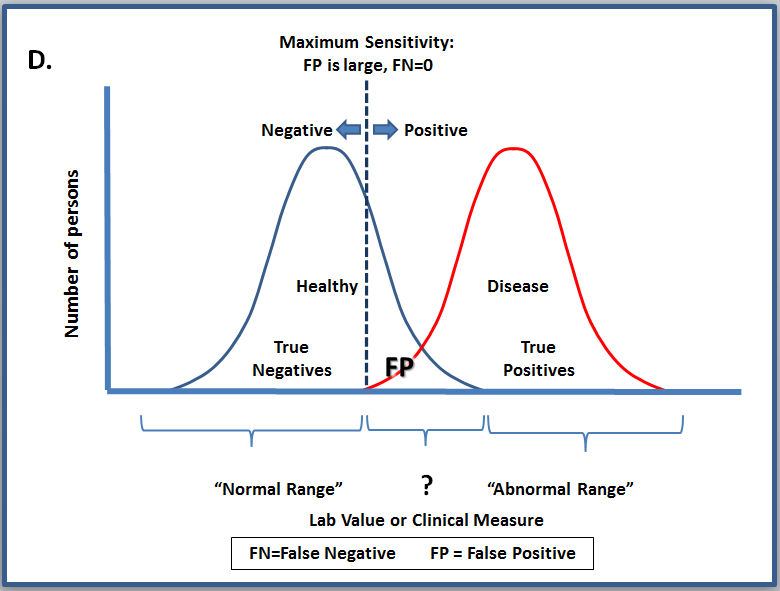 Let’s discuss a hypothetical disease, which is considered to exist if the individual’s clinical or laboratory findings are outside of a defined “normal range.” Let’s also say we already have decided what test we’re going to use; now our job is to decide where to set the cutoff for “normal” vs. “abnormal.” If we’re lucky, the range of normal values and the range of abnormal values do not overlap, and we can set our cutoff value in between them, as in Case A. Persons with values to the left of the line will screen “negative,” and we can be 100% reassured that they do not have the disease. Persons whose values lie to the right of the cutoff are deemed “positive,” and we can be 100% certain that they have the disease. 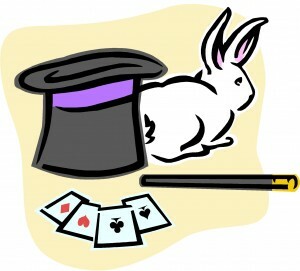 There are, in fact, some conditions that work this way: Inborn errors of metabolism (PKU, urea cycle disorders, etc.) are a good example. Babies with inborn metabolic errors have lab values that are hundreds or thousands of times elevated compared to the normal range. 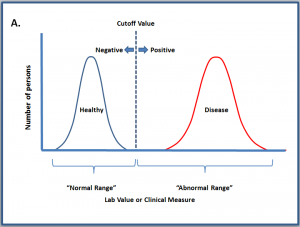 Case A: Normal and abnormal values do not overlap, and we can set a cutoff value in between them. 100% of the subjects who screen “negative” (i.e. pass the screening test) are free of disease, and 100% of subjects who screen positive (fail the screening test) actually have the disease. Most of the time, however, the “healthy” and “disease” groups overlap, as in Case B. There is no place we can set the cutoff value to cleanly separate them, no matter how good our test. 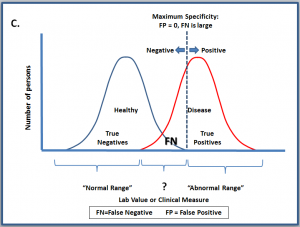 We will inevitably generate some False Negatives (persons who pass the test, but actually have disease), and False Positives (persons who fail the test, but are actually healthy). Case B. 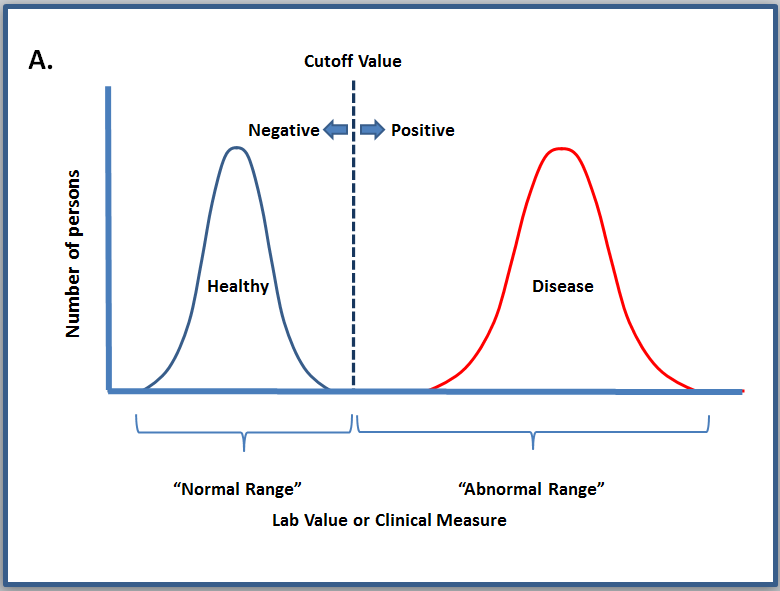 Clinical or laboratory values for the two populations overlap. 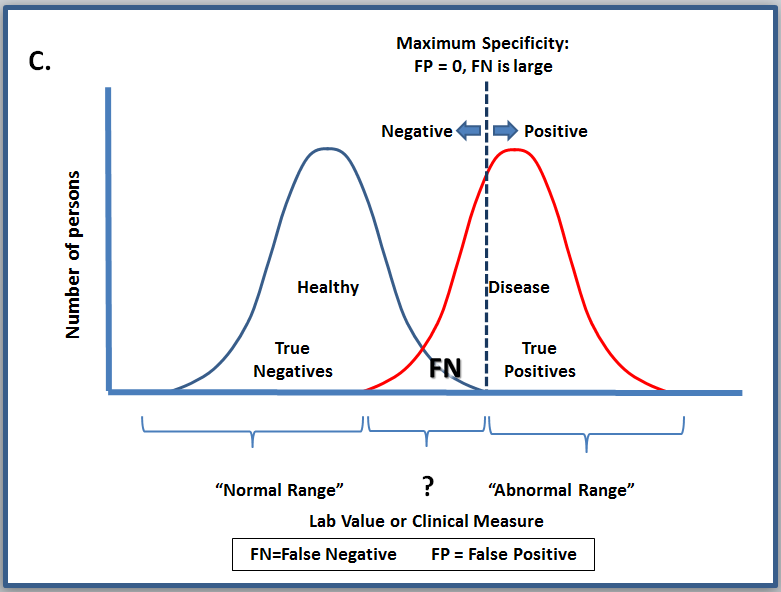 Persons lying to the left of the cutoff fall into two sub-categories: True Negatives, and False Negatives (FN in the figure). Persons lying to the right of the line likewise fall into two sub-categories: True Positives, and False Positives (FP in the figure). The question of where to set the cutoff comes up all the time in medicine — and the answer is “It Depends.” If you are conducting research on a particular disorder, you want to be sure that your research subjects all have the condition you’re interested in. You don’t want any False Positives watering down your study sample, so you will set your cutoff point as high as possible. (Case C). 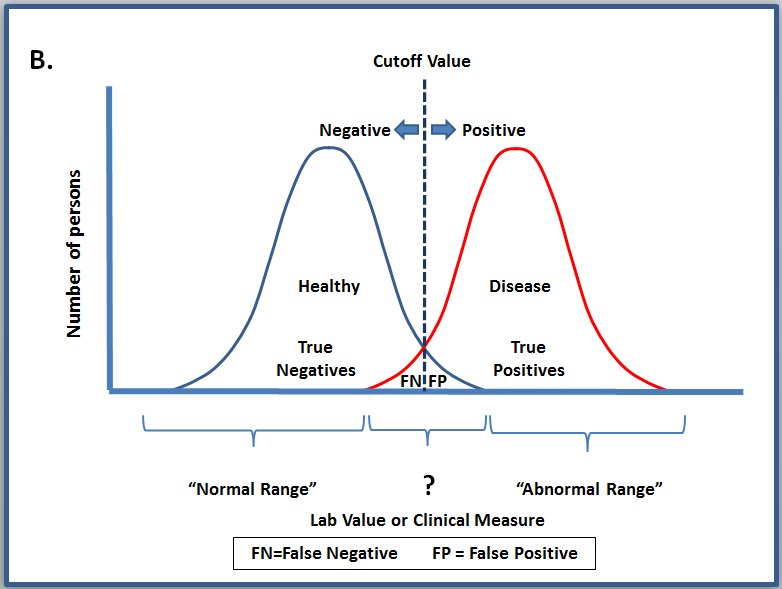 You will wind up generating a lot of false negatives (people who test negative but really have the disorder), but that’s not a problem in this situation, because your mission is research, not clinical care. Case C. Researchers interested in studying a disorder may set the cutoff very high, to assure that their study sample is composed completely of subjects who have the disease. 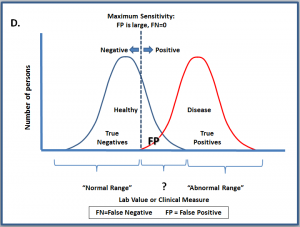 The tradeoff for reducing False Positives to zero is the generation of a large number of False Negatives. Case D. In clinical practice, and in Public Health, the goal is to find all of the persons who may have the condition of interest. To achieve this goal, the cutoff point is set fairly low, in order to reduce False Negatives to zero. 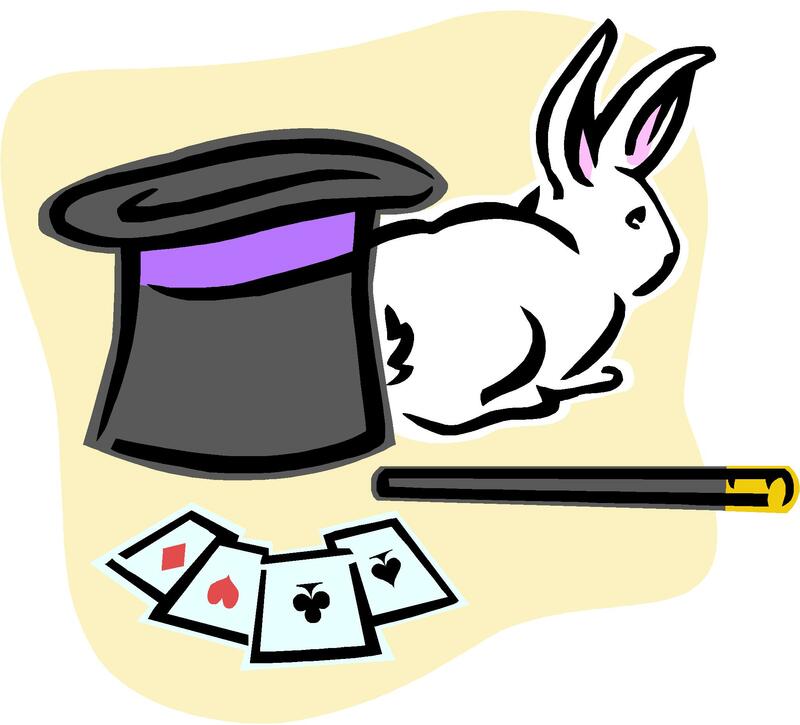 The inevitable tradeoff is the generation of a fair number of False Positives. 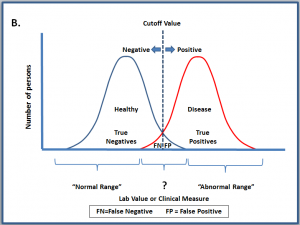 Follow-up testing needs to be put into place to sort out the True Positives from the False Positives. Now that we’ve discussed the statistical facts of life, let’s come back to the DSM…. Alas, this is only half-true: These uses might have been “mutually compatible,” but only if the cutoff values had been adjusted to reflect the intentions of the user. It is simply wrong to use research criteria in a clinical care setting. This is no idle concern. 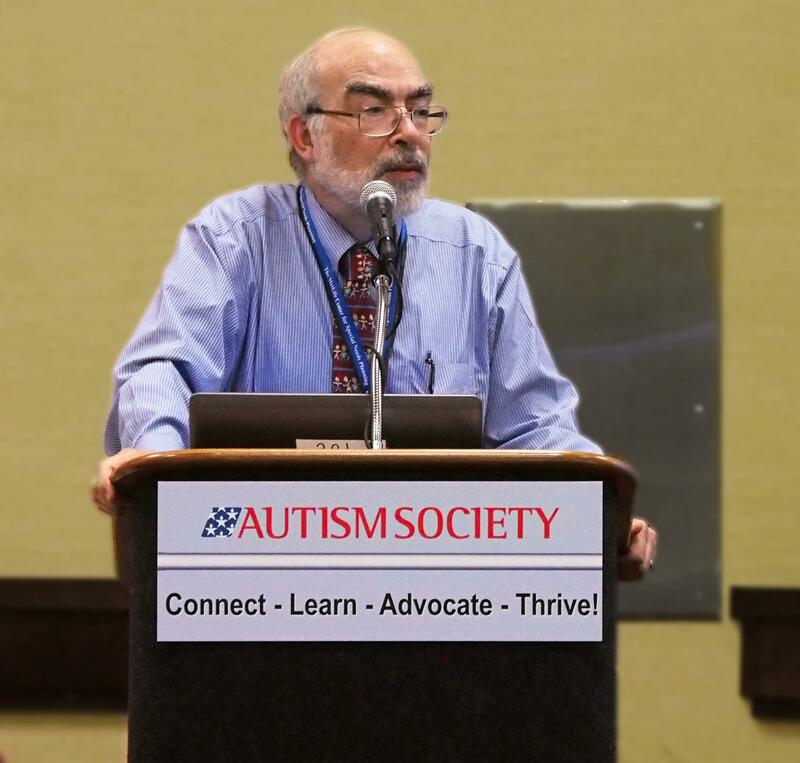 I have many patients who are turned away from our local autism research center because they do not meet research criteria for ASD — even though they are clearly on the spectrum. This is a minor annoyance to me, and a loss of an opportunity to participate in research for the family, but other than that, no harm done. What happens when a set of “one size fits all” criteria are applied to the question of eligibility for public services? The authors of DSM5 gloss over this issue entirely – to the detriment of clinicians, researchers, and affected individuals alike. Most of the time, however, the “healthy” and “disease” groups overlap.